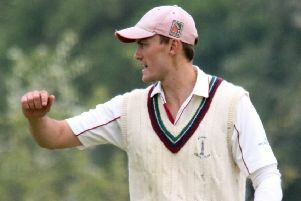 Banbury captain Lloyd Sabin is looking for his batsmen to take responsibility when they face Horspath this weekend. The men from White Post Road bounced back to winning ways on Saturday when they collected a 67-run victory over Tring Park. 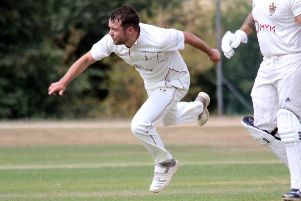 However, the success was built around a strong bowling effort and Sabin believes there was a knock-on effect with the batsman from the previous week’s six-run defeat against leaders Slough. “I think the result against Slough knocked the stuffing out of us a bit,” the Banbury skipper explained. “We got to 210 but we really didn’t perform. “Thankfully we bowled very well and that won us the game. We chopped and changed the bowling well and when anyone was called up they did what we needed – but they’ve been doing that all season. “There is nothing wrong with the batting and everyone has got enough confidence. “But we need people to take responsibility. “Instead of getting 30 and out, we have got to start going on and getting big scores. There is also the added incentive this weekend that the top two – Slough and Aston Rowant – play each other offering Banbury the chance to close the gap on one of them. “We just need to keep winning and see where we end up,” Sabin added.